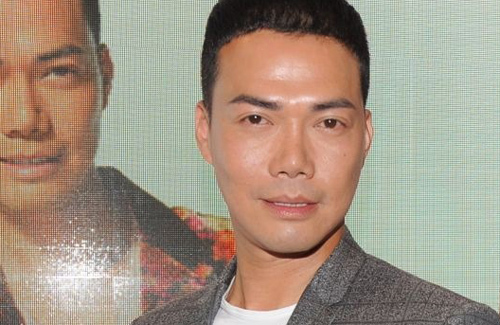 Michael Tse (謝天華) confirmed that his TVB management contract is ending in July 1 and that he has no plans for contract renewal. However, he insisted that he will continue a working relationship with TVB and assured that there are plenty of opportunities to collaborate again. Michael attended the grand opening ceremony for K-Food, a Korean food chain today. He expressed that he is a lover of Korean food and is honored to be invited to partake in the opening ceremony of a revered Korean food brand. i.e.playin’ a journalist or a sushi chef and Laughin’ is even a smashin’ vocalist. Whats with tvb? It is great that he is expanding his horizons. Hope to see him in more China productions and also TVB from time to time. He should go. Just sign him in as per series contract. A concert? I rather see them make another movie. Michael is not a bad actor, most ppl thinks he’s too conceited but I don’t think that’s the case. Laughing was a good character, overplayed but it was still interesting. He makes a very convincing triad member undercover. Bit sad to hear him leaving, but nevertheless i’d like to see him expand further with his career. Wish him all the best, and hopefully he’ll still film for tvb when opportunities arises! I’ll miss him for the time being! I’m happy for Michael; but I’m devastated that yet another good actor is leaving TVB. The HK government better issue the licenses soon! sorry, but i can’t stand him. his acting has been at a standstill ever since the laughing gor role, and he keeps getting cockier and cockier. glad to see the back of him. He should sign a per series contract. seems like everyone is switching to that now instead of renewing. One after another actor/actress is leaving TVB. It’s indicating that there’s something wrong in how TVB managed their actor/actress. It’s so good that the Y&D gang is still so tight. Yes, he sang some of the theme and subsongs for TVB series. I think he sings pretty well in my opinion. I reckon you are deaf. Dude, you are a RUDE and just plain stupid!!! Singing is subjective so some may like his singing while some may not. The same goes for acting. YOU need to watch your mouth and your words!! He started his career in a boy band 風火海 (Wind Fire Sea) with Jordan Chan and Jason Chu. Don’t remember much of his singing but dancing was pretty good. Oh Laughing Gor, why, why did you do this to us, to tvb and me?!? Why?!?!? Oh, you’re coming back per series, okay, then I still have time to go watch Michael Miu now. Good bye and never see you again.